Khan to face Lo Greco this Saturday at The Echo Arena, Liverpool. 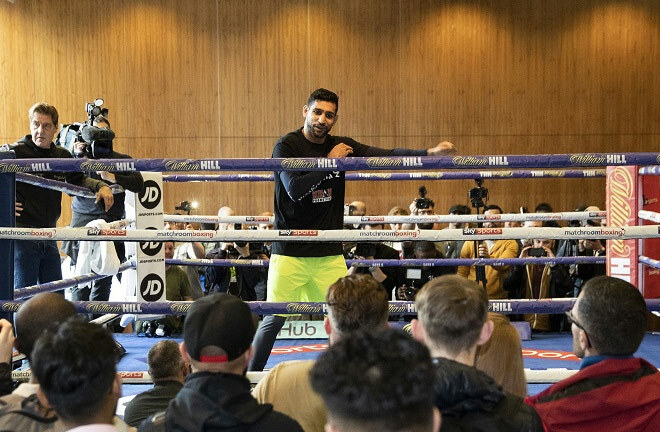 Top Rank live boxing makes its debut on ESPN+ when former unified 140-pound champion, Amir ‘King’ Khan, returns to the ring against Phil ‘The Italian Sensation’ Lo Greco on Saturday, April 21 at the Echo Arena in Liverpool, England. Khan-Lo Greco will stream exclusively in the U.S. at 5:30 p.m. ET as part of the international Top Rank on ESPN series. ESPN+ is the first-ever multi-sport, direct-to-consumer subscription streaming service from The Walt Disney Company’s Direct-to-Consumer and International group, in partnership with ESPN. Undercard action, including undefeated welterweight prospect Conor Benn and super-welterweight standout Anthony Fowler in separate bouts, starts at 1:30 p.m. ET. 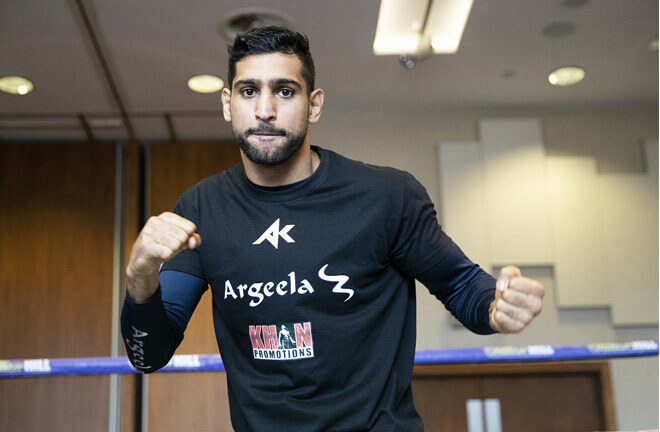 Khan (31-4, 19 KOs), from Bolton, England, is fighting for the first time in his home country since 2013, a long-awaited return for the native son who captured a silver medal (132 pounds) at the 2004 Olympics in Athens. He won the first 18 bouts of his career before a shocking first-round KO loss to Breidis Prescott on Sept. 6, 2008. Three fights later, Khan won the World Boxing Association (WBA) super lightweight title with a unanimous decision over Andriy Kotelnik. In 2011, he unified titles with a fifth-round knockout over International Boxing Federation (IBF) champion Zab Judah. Following a two-bout losing skid, Khan won five bouts in a row to earn a shot at World Boxing Council (WBC) middleweight champion Canelo Alvarez on May 7, 2016 in Las Vegas. Facing a significant size disadvantage, Khan fought at even terms with Alvarez until a right hand knocked him out at 2:37 of the sixth round. Khan’s ring return comes with a new trainer, Joe Goossen, who has worked with a plethora of world champions, including Joel Casamayor, Michael Nunn, Gabriel Ruelas, Rafael Ruelas, and Diego Corrales. Lo Greco (28-3, 15 KOs), from Toronto, turned pro in 2006 and won the first 25 bouts of his career. He has gone 3-3 in his last six fights, although two of those losses have come against opponents — Shawn Porter and Errol Spence Jr. — who went on to win the IBF welterweight title. In his last bout, on June 30, 2017 in Niagara Falls, Canada, Lo Greco overcame a tough challenge from Jesus Gurrola to win an eight-round majority decision.